An Iowa voter on caucusing for Hillary and Jamelle Bouie on primary predictions. Your host shares his one wish for Iowa—that we learn to talk about it differently. 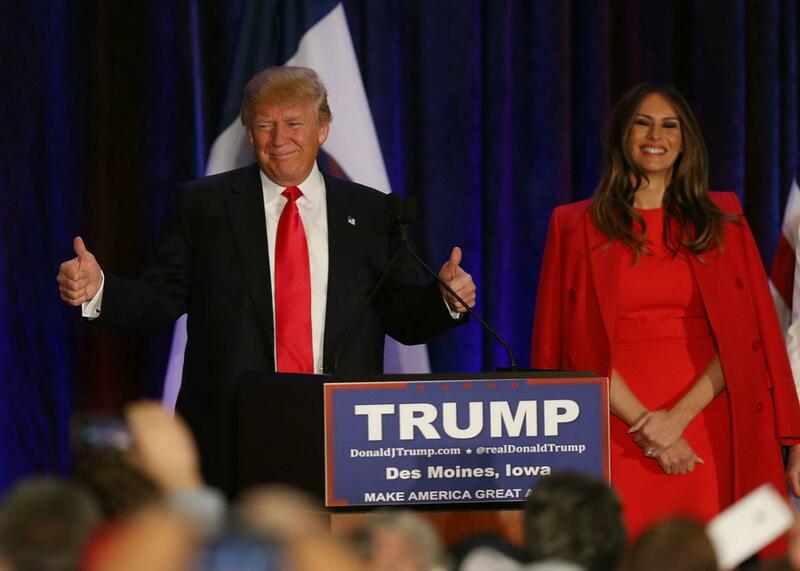 Donald Trump stands with his wife Melania Trump as he concedes defeat in the Iowa Caucus. On The Gist, listener C. Andrew Frank shares his experience caucusing in Iowa Monday night. Plus, Slate’s Jamelle Bouie explains what the Iowa results tell us, if anything. For the Spiel, how to discuss Iowa better in the media.